Fumie is the student council president and is a member of the literature club, though still often takes charge in club events despite not being the president. She notices how Saku also enjoys books and reading and has invited him to the literature club on multiple occasions. She feels that the astronomy club and its members are not what a club should be and is generally not favorable about their activities. 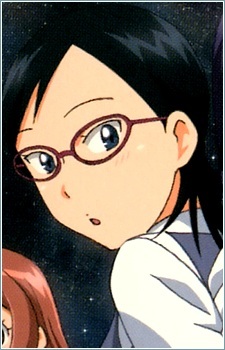 She has known Mihoshi for several years, but feels animosity towards her.